Everyday can be a good hair day with Vega Adore Flat Hair Straightener. 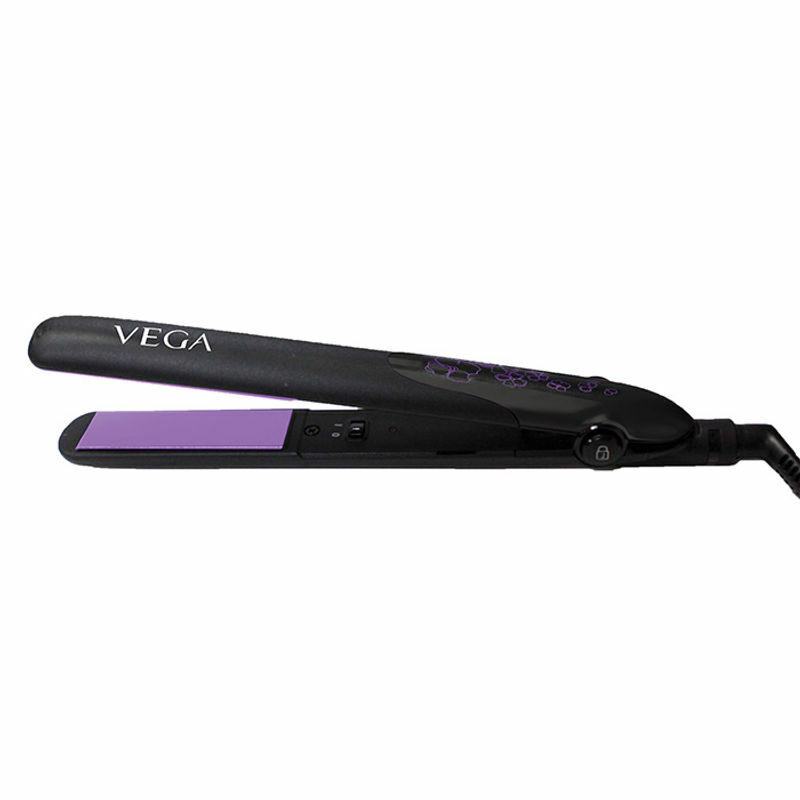 Now style your hair beautifully and get sleek, straight hair using this amazing Vega Hair Straightener. It gives you glossy, high sheen hair finish within minutes, that is lesser than 60 seconds for straightener to heat up.The straightener has ceramic coated plates which provides even distribution of heat and protects hair from any heat damage.With easy lock system, avoid long wait for cooling down of the plates , also the Vega VHSH-18 Hair Straightener prevents from mis-operation. The 360° swivel cord rotates the cord conveniently and prevent unnecessary tangles. Additional Information: Vega is inspired by everything classy, stylish and confident for the women. They believe in making innovations and becoming a style companion for those women who believe in themselves. They provide a wide range of innovative and affordable beauty accessory tools and personal care appliances from Head to Toe to the Indian consumer. Explore the entire range of Straighteners available on Nykaa. 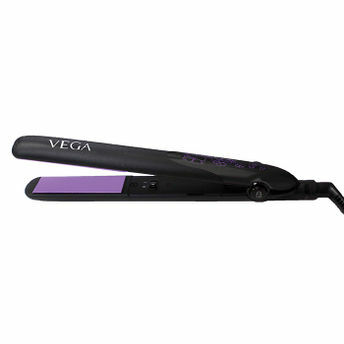 Shop more Vega products here.You can browse through the complete world of Vega Straighteners .